How are you going to fix the rainbow glass. are you using HEK or HMT, eschaton ?? I am using HEK (Guerrilla), any idea? i ask because, i'm working on a very similar mod, except my mod doesn't cover single player maps only the classic multiplayer ones. I was thinking on doing another beta release next weekend :v .
Dot3 Bump Mapping only started to appear within the video game realm some time in 2003. Unless bungie had created some sort of tag system which allows you to skip ahead in time and reverse your statement is incorrect. 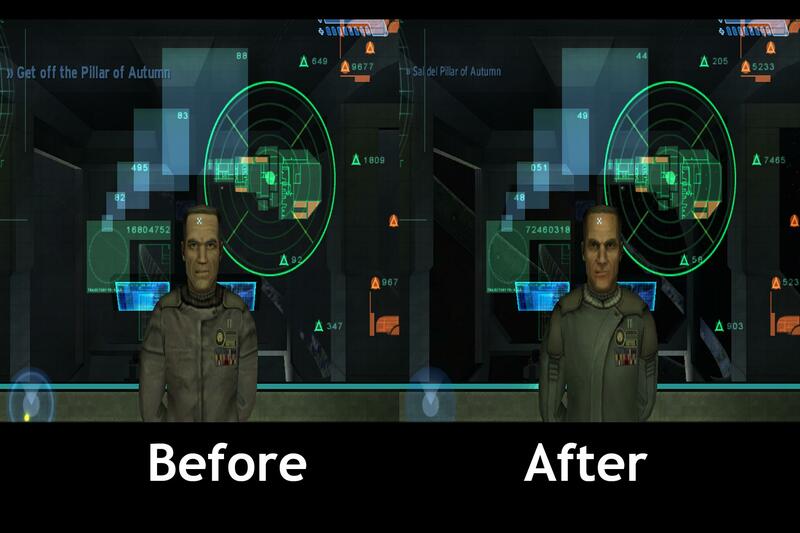 Halo Ce utilizes the standard height mapping basis although normal maps can also be utilized. For this case though, unless you are applying to BSP models, normals will not work for bump. You will have to use a specular in the multi (use the same red and blue channels for this or it won;t work I don't think). If it is a BSP model though, normals compiled this way make VERY MUCH BETTER bump maps. Yup, you can see them by using your flashlight in any Bungie map. Even if normal maps didn't become an industry standard until 2003, people were using it for a while before that date. There's the doom3 tech demo for Macintosh in 2001 I believe. Another odd game to look at would be Azurik. That game apparently had full antialiasing, and used volumetric fog in 2001. Both games may or may not have been in development for a long time before release even. I stand corrected but no normal maps of any kind ship with the hek right? Do not release this fix as a map(s). Release it as individual files that people can apply to their maps. You know, like how the people you stole that AR multi restore did it. Bitter after taste is bitter. That must require some level of finesse. The bump mapped glass works on HPC, but not HCE. Boot up HPC, go to B40, look in the first hallway you enter after point insertion. You can see the glass looks super nice. Yet the same shader in HCE "looks like a rainbow". 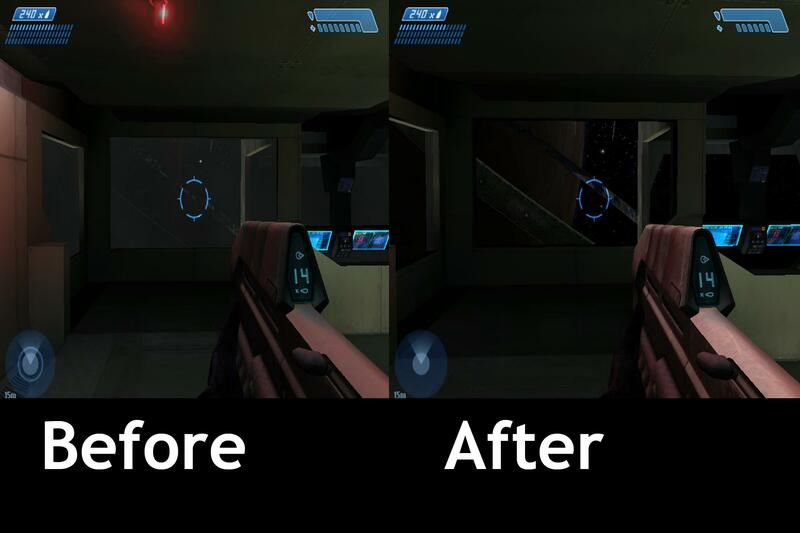 If you look at the Halo 2 E3 demo, you can see this same "rainbow glass" error there as well. In fact many games have this error, as funny as that is. Is there a fix? Nope. As for bump mapped shader_enviroments, you get limited functionality and that's all. This doesn't mean all hope is lost for them though. I have tried fixing Bungie's shaders in the past and the results are promising. No hacks needed. You just need to know what you're doing inside the shader. The main method is simply cranking up the specularity, but you must do so with finesse. On top of that, changing the blending mode to blended base specular usually offers pretty great results. Again, do so with finesse. I haven't had that glass issue for years now. I converted this map directly from HPC by internalizing every tag and changing the map header to HCE. I don't any have screenshots from back then but they certainty showed the rainbow effect. Can anyone here direct me to a map that has this issue? I want to make sure I'm not missing anything. Time: Thu April 25, 2019 3:05 AM 109 ms.